gasped Renee and then expired. It turned out that my coughing and spluttering of the other night was a bit more serious than I had anticipated. Vomiting and coughing combined insured that I wasn't able to keep much water on board and resulted in a Cafard like state, the details of which I am distinctly hazy on. Fortunately Mrs. Kinch realised that the fact that I was spouting gibberish was a new symptom and not merely business as usual. She took me to hospital where I was placed in isolation, knocked out, rehydrated and tested for avian and swine flu*. It was soon established that I did not have any manner of posh flu, but merely a ringing case of the garden variety. Since then I've been at home, confined to bed and being force fed fluids. On the plus side this means I won't be working Christmas Day, unfortunately I'm not up to much otherwise and I won't be making it to service or my parents on Christmas Day either. In some good news, Command & Colours: Napoleonics arrived today, though Mrs. Kinch said that she knew I was ill when I didn't tear it open immediately. That said I have had a look at it - the Corunna scenario appears to be the only one I can play immediately with the figures I have at my disposal. Also, the French cavalry is subdivided rather more than I anticipated in that we have. I have plenty of light cavalry and a regiment of cuirassiers. I am in two minds as to what to use for Guard Heavy Cavalry, I have boxes of beautiful Zvesda Polish Lancers, but they can't with the best will in the world be described as heavy cavalry. I'm considering using Italeri Dragoons as Heavy Cavalry. They didn't wear armour, but they did used straight swords, which is good enough for me. I honestly can't remember that they were called officially. In a spirit of democracy that goes against every fibre of my authoritarian soul, I'll throw the question open to the floor. Also welcome aboard to our latest two followers! Welcome to the mess. The rules are very simple, treat your messmates as you would wish to be treated and no discussion of the French infront of children. Good Lord, I believe I'm done in already. Right, back to bed for another eleven hours sleep. *I am still partly convinced that the latter was a joke that they only embarked upon after they found my badge. I was once told that in life plans are useless, but planning indispensable. It's seems silly to write this on the eve on purchasing a house, which will undoubtedly be one of the largest projects I'll ever embark upon and which will devour my time and money in a manner I can probably not really understand at present. However, it's four in the morning; I'm ghastly ill and it would be inconsiderate to return to bed while I'm still coughing and spluttering. Mrs. Kinch gets few enough nights uninterrupted sleep, frequently broken as it is by my comings and goings and the necessity of looking after her elderly grandparents. This is my main project and will be for quite some time. I'm still waiting for the actual game to arrive, but in the meantime I have my hex mat ready and I've been mustering forces. My goal for this project will be to be able to field the forces required to play all the Peninsular battles in the basic game. I have pre-ordered a copy of the Spanish supplement, which will expand the projects goals, but that won't be arriving for quite some time. This is a whenever project, something that I may get around to or not. I have approximately 400 Hat Saxons waiting to be transformed into a Ruritanian force. The basic idea was to use these figures to create an army that could fight out the Grant & Olley Chiraz campaign. I'm still in two minds on whether to paint these up as actual Saxons* or to go the full 18th century Imagi-nation hog. The other arms would be made up of Zvesda Swedes with Cossack light cavalry and Russian guns. Additional regiments could be supplied by "left-overs" from my Napoleonic armies. This is a late 18th century project, based around a desire for some Eastern colour, reading too much Allan Mallinson and Kipling and that has been gaining ground slowly. I also convinced myself that it would be simple, I could just use my Napoleonic British forces as opposition and all would be well. At present, the state of play is not too bad, I have a sufficiency (approximately 100 figures) of native cavalry, one battalion of European trained regulars and a mob of about 80 irregulars, all made up from several boxes of ESCI Muslim warriors I received in a trade. 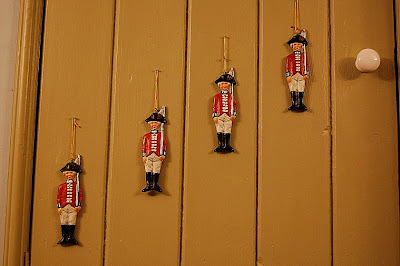 I also have a battalion of John Cunningham's sepoys in preparation. These are merely based, but I hope to expand to a second battalion. There are also Mysore warriors in preparation. On a related note, there are also Sikhs in the pipeline. I am very fond of Sikhs. This is definately a whenever project and one mainly prompted by fact that I have a good hex game of the conflict and more Hat Peninsular British Infantry than I know what to do with. I'm a big fan of Memoir '44 and I've played a lot of it with Donogh in 6mm. My new large mats should mean that I can also use my 20mm forces to play games. I have large painted German (boo! hiss!) forces which were recruited between 2001-2006 as part of my Razvedchiki GURPS WWII roleplaying game**. I have American figures that could do with a lick of paint and some Russians, but I can't imagine doing a huge amount of recruitment for this project beyond mustering some Crown forces. As a result of the previously mentioned GURPS game I have quite a few 20mm partisans and other early 20th century armed civilian types. I got a copy of Solways Crafts and Miniatures Very British Civil War sourcebook last year and Donogh very kindly gave me the second volume this morning as a Christmas gift. I think there is every possibility that any Crown forces I raise for my main Memoir '44 project will be early war BEF, who could very easily do service in a Very British Civil War. Nine years ago, three gamers had a pint and fell to reminicing. They discussed Heroquest and Space Crusade, two games which devoured many after school summer afternoons. They also fell to talking about large games at conventions. 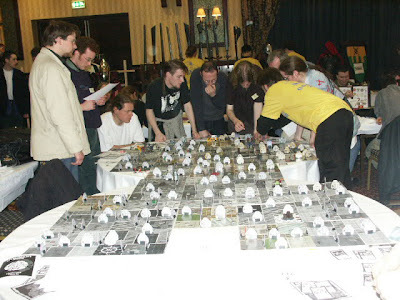 Things were said, bets were made and two of the gamers were challenged by the third to run the biggest board game at an Irish convention. The result was Giant Space Crusade, which was lunacy. The game is normally played on a board two feet by two feet, we build one that was twelve feet by four for twice the number of players, two dedicated umpires and many many figures. Heroic efforts were made to finish the game in time. This man turned up at the convention covered in blood to ensure that everything went according to plan. It took nine hours to play, but it was fantastic fun. A couple of months ago, the gauntlet was thrown down again by some gentlemen who'd heard of the original and wanted to give it a try. To be fair, I didn't take much cajoling to commit to the project especially after we sat down and worked out what mistakes we'd made with the first one. I cleared out most of my 40K figures in 2005, but I still have some lying around and we've managed to work out a way of doing this in a manner that doesn't cause us the same emotional distress or bloodloss. I'm hoping we'll be able to accomplish this mostly with loaned figures, but it remains to be seen. It's also going to be bigger, have coloured lights and possibly some sort of zero-g fighting section using magnets. Looking over this list, I'm filled with a sense of mixed hope and anxiety. There are a lot of projects here. On the other hand, I have made a great deal of progress in the ones I'm particularly concerned about. There's no urgency in the others with the exception of Giant Space Crusade, no one is going to break down my door and ask why I haven't refought the Niagra Campaign yet. This year has been quite productive in terms of building regiments if not actually playing games. With the drop in available cash that is likely to occurr in 2011, I'm hoping that I will be able to play more games as it's a damn sight cheaper than mustering troops. The other point that comes across very clearly is that Command & Colours in its various incarnatations is the game for me. This is probably no great surprise. I really enjoyed reading Black Powder and I don't regret buying it for a second, but it's unlikely that its going to see much play. I have a very similar attitude to the TooFatLardies products, they're fantastic read and I often steal ideas from them, but not games that I get to play very often or in fact, at all. I suspect a lot of their attraction is the no-nonsense writing, the low price point and the fact that I can read them on my phone. This is not to be sniffed at when one can be stuck places without a book for prolonged periods of time. This isn't a bad thing, no less of a wargaming authority as The Brigadier has been using much the same rules for nigh on thirty years. I've played Command & Colours with children as young as seven and men in their eighties; veterans, college students, teachers, policemen, young offenders, computer scientists, artists, construction workers, writers and librarians have all taken part over the years and very few of them have not enjoyed the experience. This is probably an idea I should develop further, but it's cold and I've stopped coughing and throwing up, so I think I best head back to bed. *Odd continental chaps in whom I have no real interest. I couldn't honestly tell you where or what they were up to during the Napoleonic wars. Shameful I know. **One of the occupational hazards of being a roleplaying GM is that you always end up with a large collection of baddies. which manage to be both martial and festive. Despite the snow outside, it's all rather jolly here at Chez Kinch. I'm heading out to brave the snows in order to do a few mortgage related errands while Mrs. Kinch and her parents busy themselves around the house putting up decorations, like those above and wrestling with Mrs. Kinch pere's enormous Christmas tree, known by familial tradition as Birnam Wood. ...the good news is that I learned this vital lesson at ten am this morning, when Mrs. Kinch opened a letter from our mortgage people and discovered that we have finally gotten approval. She celebrated this great occasion by running into the bedroom and jumping on my head. I think I took it rather well despite having finished work at 6 am. So, it looks like this whole house business is actually going to happen. I'm as surprised as anyone. I spent the rest of the day making phonecalls, watching old movies* and doing some work on Mrs. Kinch's great uncles gift (see above). *Rambo III - A relic of a simpler, more civilized time back when the Afghans were noble savages. Working nights and the Christmas season have meant that little or no wargaming progress has been made this week. The arrival of the Wargamers Annual cheered what was turning out to be a grim few days, but more on that anon. I've managed to finish putting together a gift for Mrs. Kinch's great uncle, a large scale resin figure of a British Officer from the Crimea. This was my first time working with resin or in this scale and it was considerably more fiddly than I anticipated, but I've managed to finish the preparatory work without endeavouring to glue my hands together or attach parts of his uniform to my face. All that remains is to paint him. I would post pictures, but my phone is hors de combat at present, which is not helping matters. 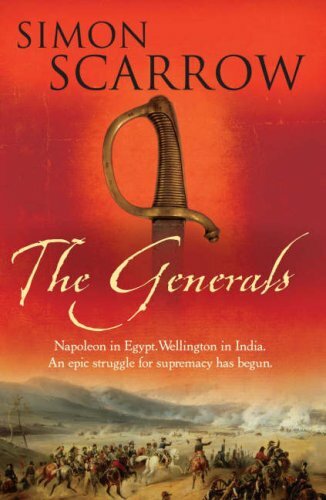 What I have done in the mean time is a little reading, specifically the Revolution series by Simon Scarrow. I have the first two, Young Bloods and Generals. They are hefty volumes weighing in at over 400 pages each. Scarrow certainly writes books in which things happen, events come tripping off the page with pleasing rapidity - though it must be said that neither man lived a quiet life, so there was no shortage of material. Scarrow certainly isn't a stylist and his characterisation is workmanlike at best, but as whole the books don't suffer for it. They're a well executed entertainment that takes the reader on a breakneck gallop through the lives of two exceptional men and should be enjoyed as such. Good fun, but I can't imagine Allan Mallinson looking over his shoulder with any trepidation. I received a copy of Wargaming in History Volume 2 last week, though I have had very little chance to read it properly. It seems very much in the vein of the previous volume, a beautifully produced hard back studying three battles, in this case Dettingen, Fontenoy and Lauffeld, and discussing how they were refought as wargames. Despite having no previous interest in the War of Austrian Succession, beyond knowing of course that Doctor Livesy was a veteran of Fontenoy, I find this approach very useful. The Brigadier has written God knows how many wargames scenarios and a window into his thought processes is rewarding, particularly when you're such a duffer at the business as I am. The book itself is not cheap. I got mind from Caliver for thirty pounds. It is a beautifully produced hardback with a good dust jacket that will give good service for many years to come. Illustrated throughout by well lit, sharp photographs of the Grant and Olley collections and illustrations by Bob Marrion all on crisp high quality paper stock, this is a piece of work that gives me pleasure on three levels. 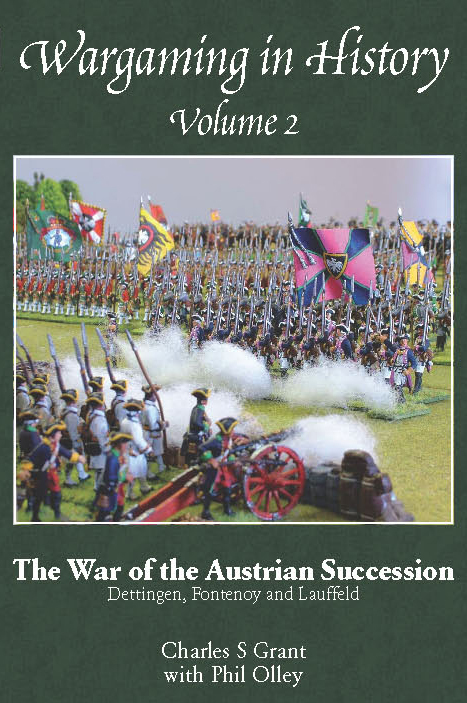 As a history buff, I enjoy the potted history of the War of Austrian Succession; as a Wargamer, it's a very forthright book on the hobby and as a book lover, it is a very satisfying artifact and one that makes the act of reading even more pleasureable than usual. Each battle is preceded by a little history to give context to the material to follow. There follows a brief description of the physical mechanics of putting the wargame together with some interesting musings on the size of table required, troops, etc and this is finished off with maps and a refight. The last two sections of the book discuss Irish and Scottish troops in French service and a wargames miscellany, covering the use of written orders in wargames, the effect of having a reigning monarch on the battlefield and some interesting (and I suspect controversial in some quarters) musing on the qualities of Guard units. While I haven't had the leisure to spend as much time with this book as I would like, if first impressions are anything to go by, it shall be an enjoyable companion for many years to come. Which begs the question - when are we going to see a volume on the Egyptian Campaign of 1798-1801? but I was in a hurry to get them photographed and off to the postman. Finally finished up my Criskindl painting, which was interesting. On giving the figures a once over I came to the conclusion that there was rather more of Gilray about them than anything else. I added pikes, but didn't add pike heads as I wasn't sure if my pal wants to add pike heads or hammer the end of the wire flat and snip it accordingly. In other news, I had my last assessment on Friday and passed with flying colours scoring maximum possible marks. I also received the results of my dissertation, which were 84%. This means I'll be returning to the Puzzle Palace in January to pass out with the rest of my class, at least once the other boys have stopped calling me "Specky" and hanging me by my underpants from lamp posts. There is no news on the house front unfortunately, we're still jumping through hoops for the lender. Mrs. Kinch has finally become sick of that particular emotional roller coaster and has left the matter entirely in my hands. We shall see what comes of this. There's been a Criskindl going on The Guild for the last few weeks. The scheme is that each participant sends his partner one or more figures, which are painted and returned to the owner. 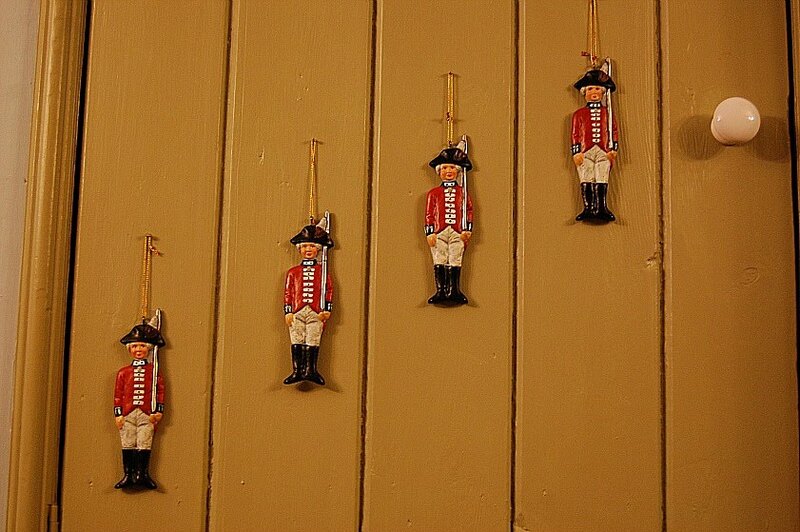 My Criskindle partner had some 1798 rebels lying about and thought that they would make an appropriate Criskindl. The figures are 28mm lads from Trent Miniatures and definately have a touch of Gilray about them. On the other hand, I haven't actually painted anything since I joined the service and thought this would make a nice change. The figures themselves were cleanly cast, with the exaggerated characteristics I've come to expect from 28mm figures. They did present a bit of a challenge as they did not come with pikes and their hands needed to be drilled to take ones made of wire. I have never used a hand drill before and had to learn (mainly by watching a pal who did most of the drilling for me), but it's a lot simpler than it looks. I recommend the Games Workshop variety hand drill, which costs about fifteen euro, though it can be got for less. I also had to buy several pots of paint as some staples (red, flesh tone and brown ink) were either empty or dried out. I'm quite looking forward to painting these chaps as I haven't painted in a dogs age - an interest I think I will resurrect, but for special figures only. Even as I come to the end of my studies, I doubt I'll ever have the time that I used to be able to devote to painting. While I'm sure our transatlantic and continental chums are all used to a spot of snow, it doesn't happen very often in Ireland. As a result, there was something of a stir when about a quarter ton of snow came off the roof in one go. There were somewhat dramatic results for the cast iron garden furniture that sat outside. I sallied out and poked the fallen snow to make sure that it hadn't landed on the cat, but all was well. Came across this the other day - cracking stuff. I particularly like the chap at the back rocking the Glockenspiel. and not a bad chap really. For a media type. - House purchase is still eluding us, though we are a little closer. The lender has asked a full structural survey be carried out, we've had this done and will be getting the results tomorrow. - Command & Colours: Napoleonics is finally shipping. I am beside myself. I can't remember the last time I've looked forward to a game like this. Actually, on mature reflection, I can and the game was Cthulhu Dark Ages. It was a crushing dissappointment. But I've relatively sure Richard Borg won't let me down. Probably. For those of you who'd like a sneak peak, GMT games have very kindly put up a PDF of the rulebook. - I've started my new project, which is trying to record a few pieces for Librivox.org, an online repository of free audiobooks. I haven't uploaded anything yet as reading aloud is harder than it looks. My first recording was of a favourite poem, but it sounds soulless and rather like I don't understand what I'm reading. Mrs. Kinch has promised to tutor me tomorrow so that I don't sound like a robot. It remains to be seen whether this will work. - For those of you not clinging precariously to the edge of Europe, Ireland is experiencing some very cold weather at the moment. This is something we are neither equiped for or take with particularly good grace. Fortunately, I had the day off today - so I spent it profitably engaged in sparing Mrs. Kinch some packing. I selflessly put the finishing touches to two regiments of cavalry and a battalion of infantry and packed them up to send to Mark while watching Generation Kill. That's one box we won't have to move house with! 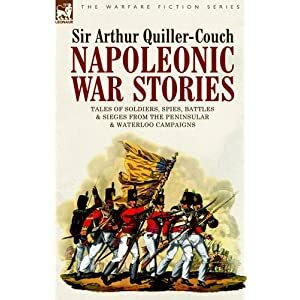 Napoleonic War Stories: Tales of Soldiers, Spies, Battles and Sieges from the Peninsular and Waterloo Campaigns by Sir Arthur Quiller-Couch. I've long held Sir Arthur Quiller-Couch in high regard, an affection based almost entirely on his collection of verse, which played such a large part in developing my taste and knowledge of poetry. Little did I know that he also wrote short stories about the Napoleonic Wars, something I only discovered while idly browsing Leonaur Publishing's catalogue. This is a dangerous pastime, but not without its rewards. I haven't finished this book yet, it is a pleasure to be sipped rather than gulped. I was surprised by the tone and depth of the writing and characterisation. Quiller-Couch's descriptive prose is sparse, using a few carefully chosen images to evoke rather than explain. His plotting is taut and economical and unusually grim for stories written at the high tide of British power. The first two deal with the psychological, rather than the physical scars of war - a choice of subject I was not expecting. There is none of the heavy handed treatment of this theme that I've come to expect. The tales are laid out as tales, as stories to be told, without moral or lesson, the reader can make of them as he will. The later stories deal with the adventures of a Catholic Scottish-Spanish spy in the pay of the British and are more in the Brigadiers Gerard line than the former, though they too are not without their subtlety. I particularly liked Quiller-Couch's brief and uncomplimentary portrait of Wellington, who I've often seen portrayed as something approaching a military Christ figure in late 19th century texts.